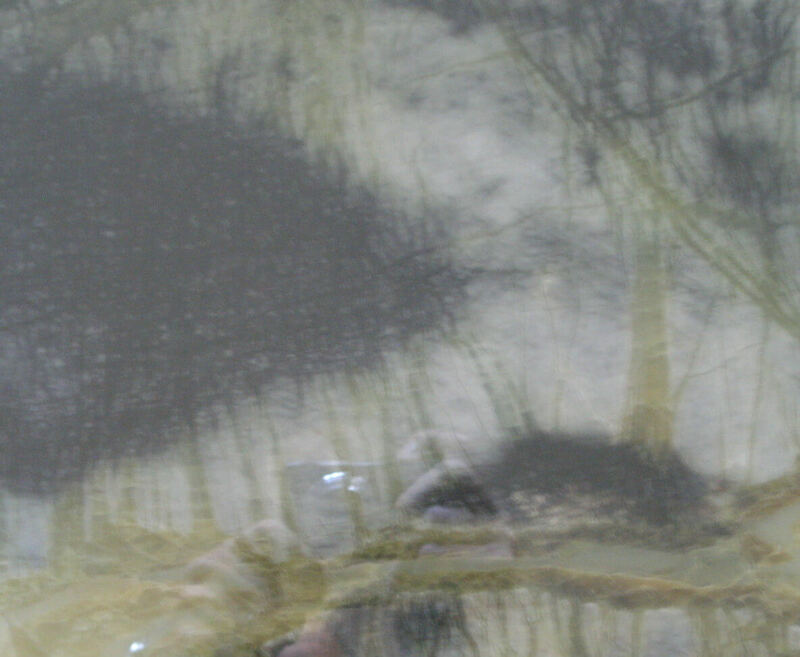 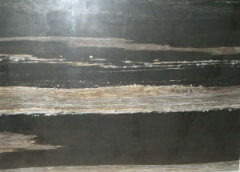 Extraordinary Natural work, One of a Kind. 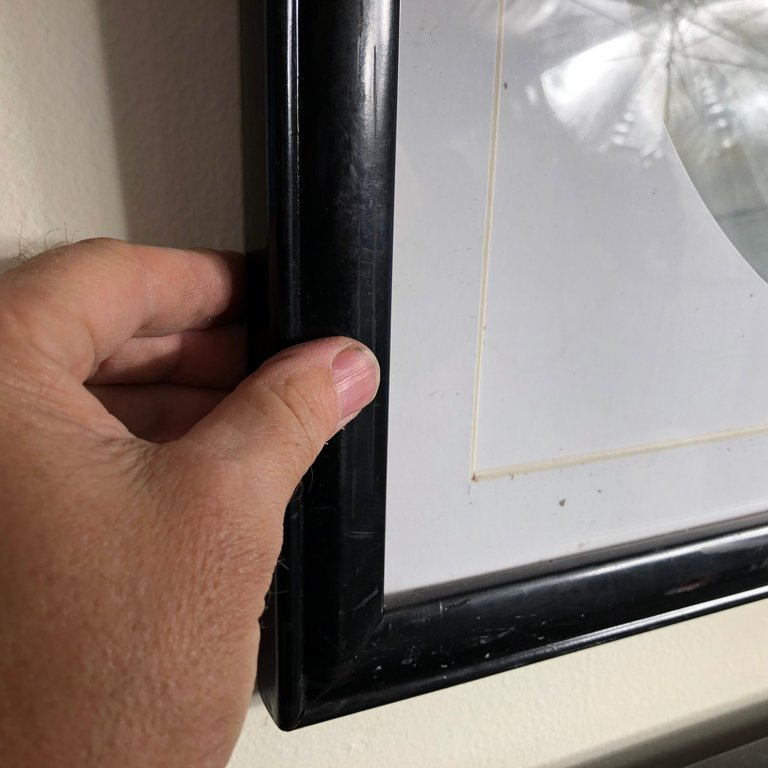 Custom framed. 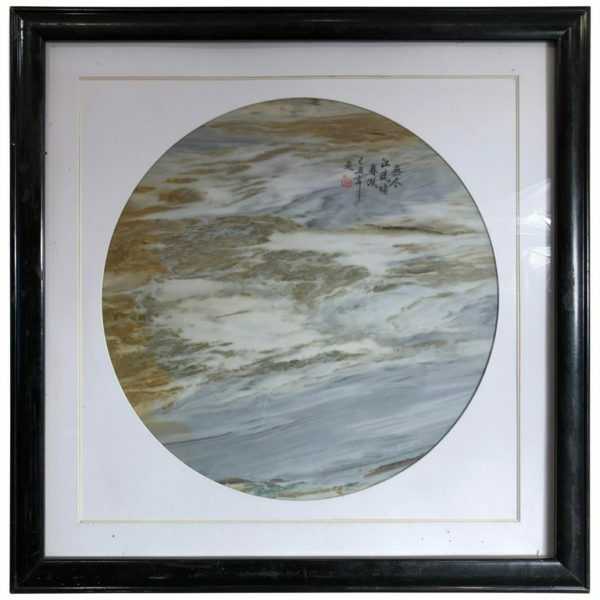 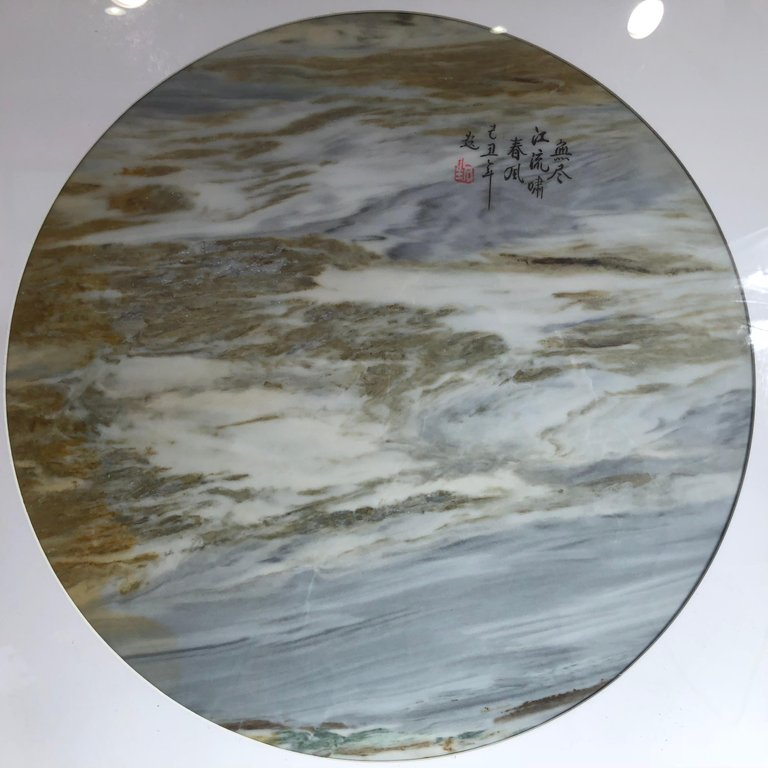 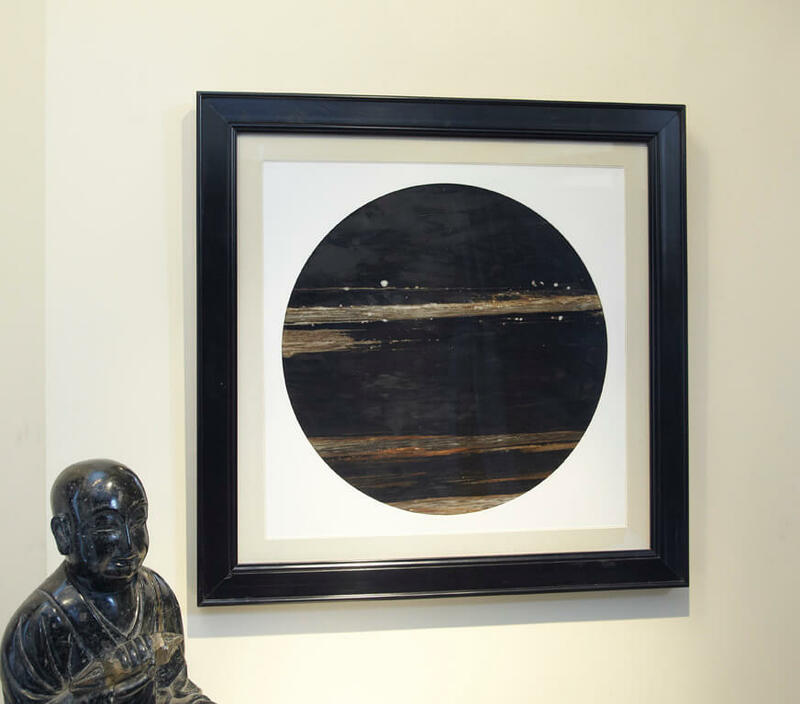 This Chinese extraordinary round natural stone painting of blue waves and rocks could remind us of a unique shoreline or boating event in our lives. The powerful and colorful depiction is executed in natural white, light blue and brown colors. 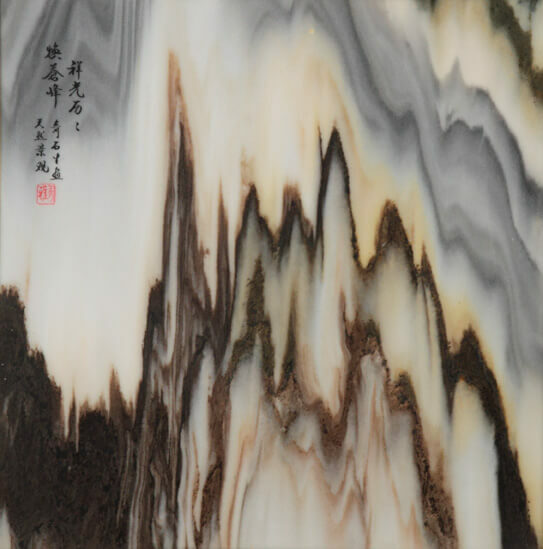 This is called a dream stone Shih-hua. 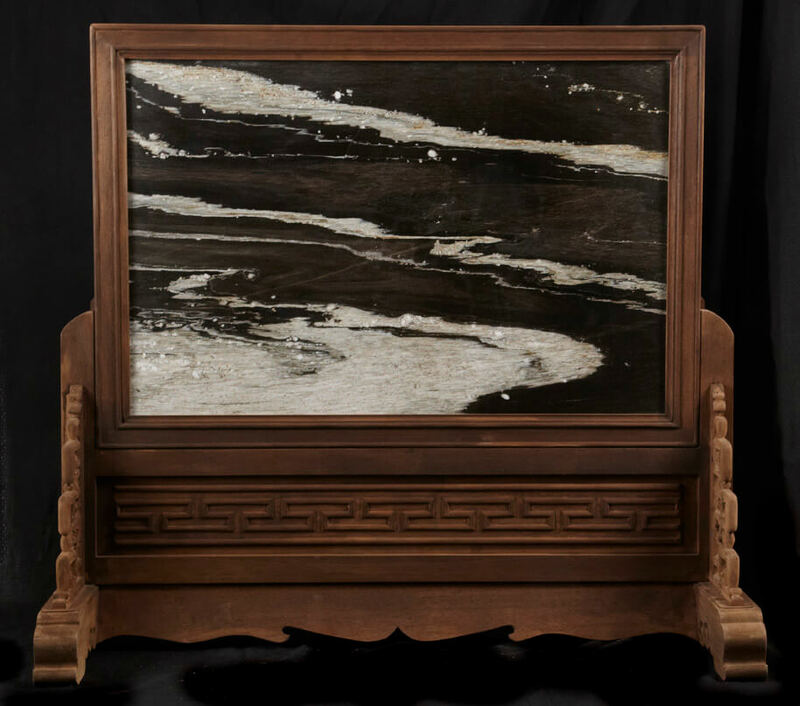 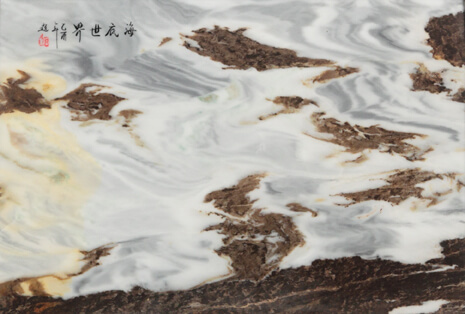 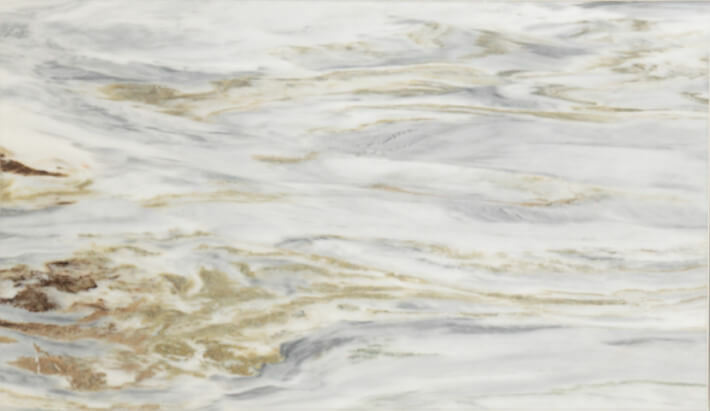 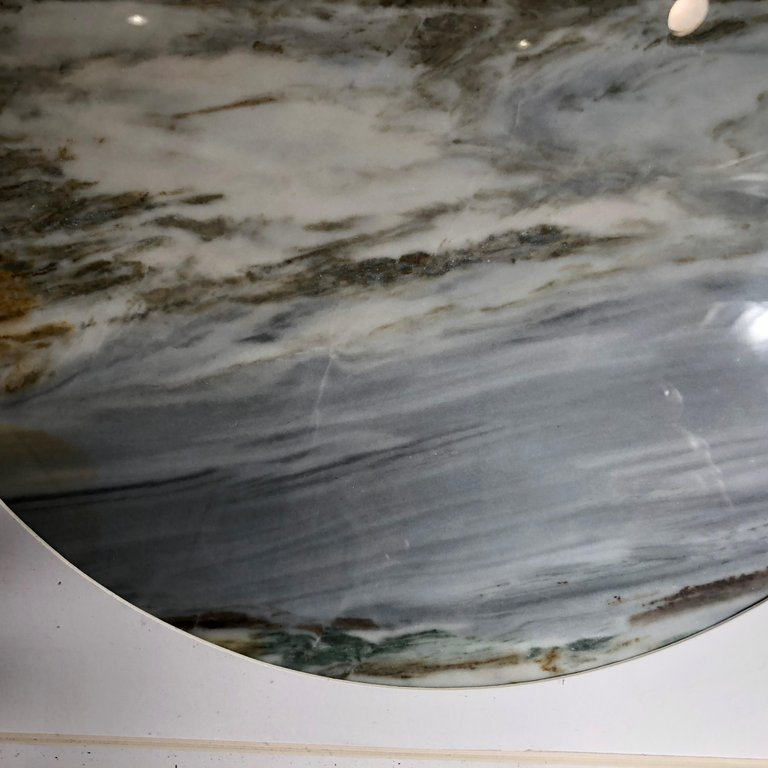 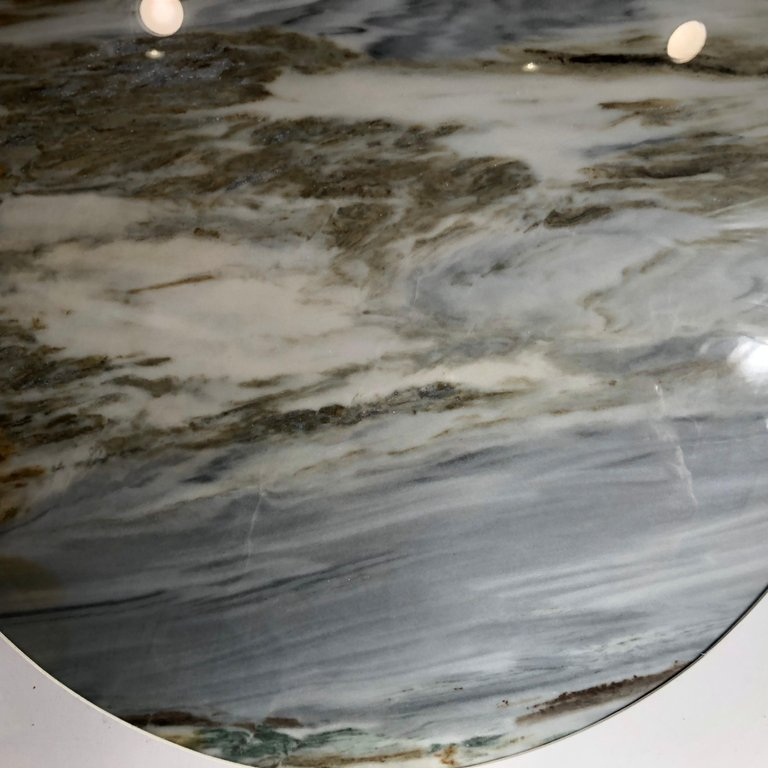 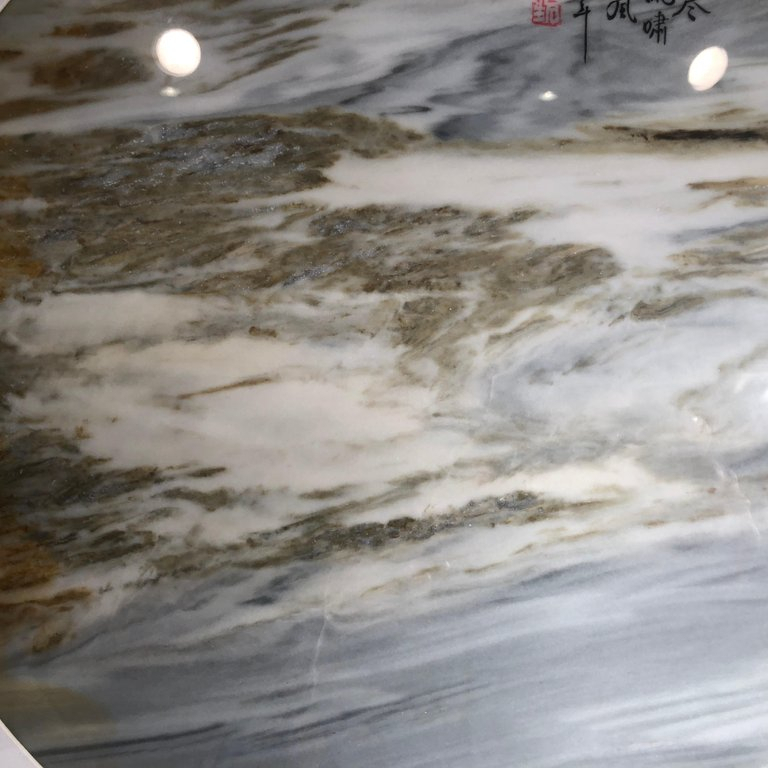 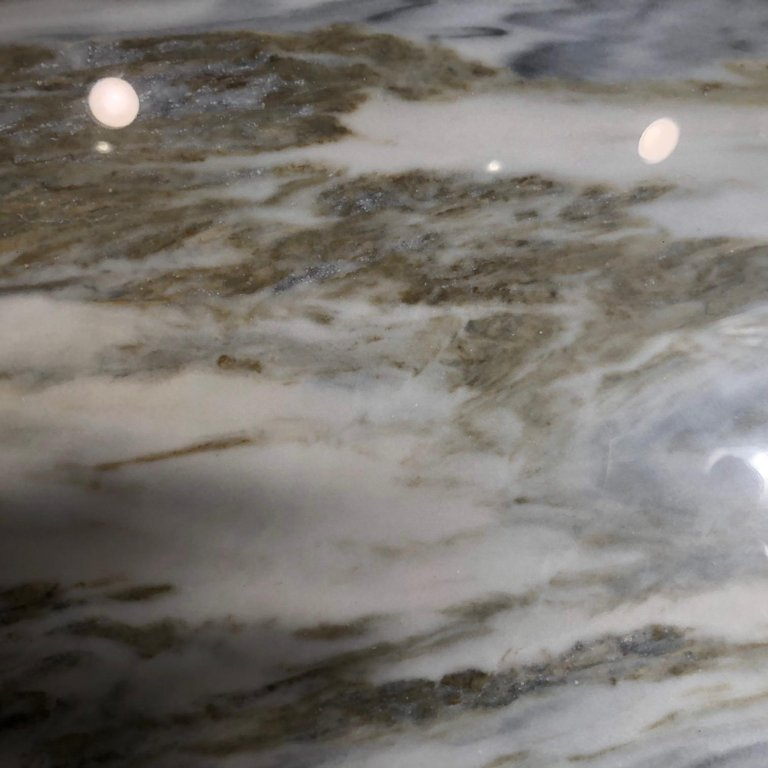 They are cut from historic Dali marble found in the Cangshan mountains of western China. 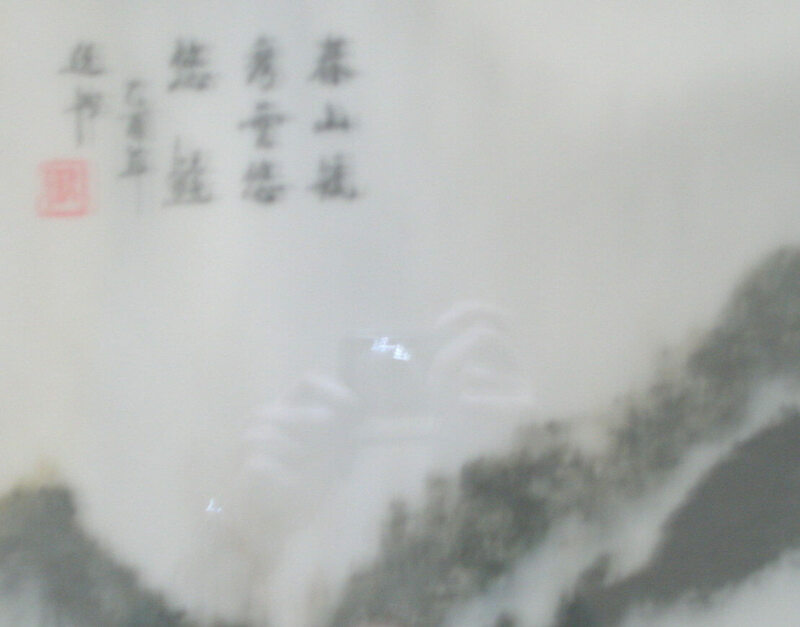 These mysterious mountains, unique in the world, are known for yielding incredible and fantastic natural landscaped works of art created over tens of millions of years from mineral inclusions that affected the process of ancient organic material which transformed into limestone and finally resulted in marble- a metamorphic hard stone. 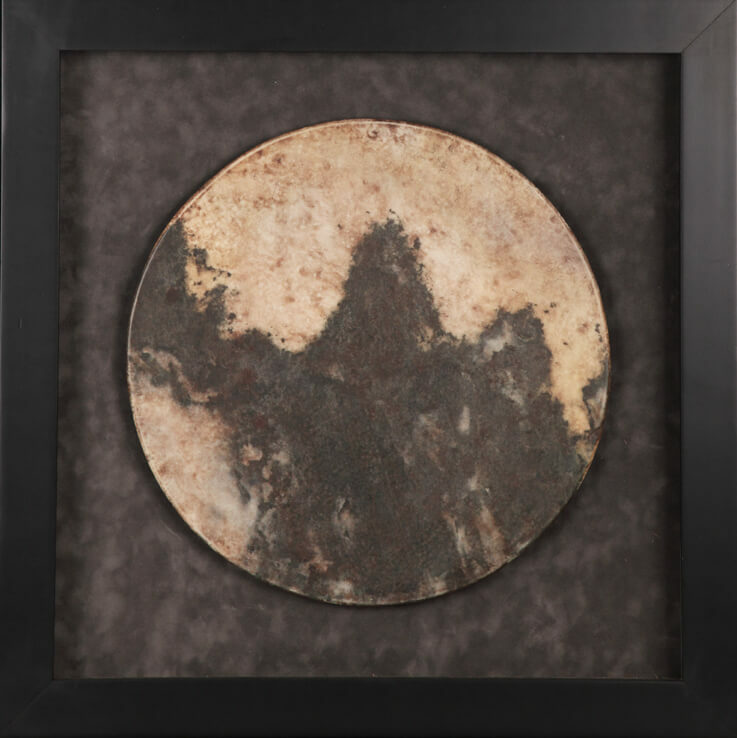 Frame: 21 inches high and 21 inches wide. 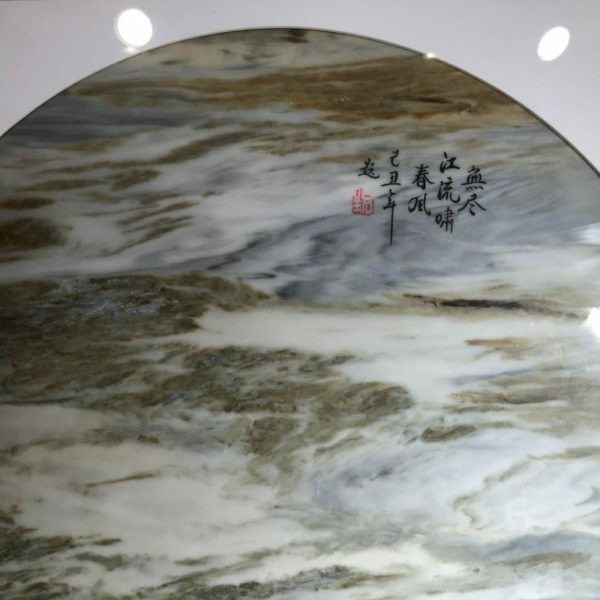 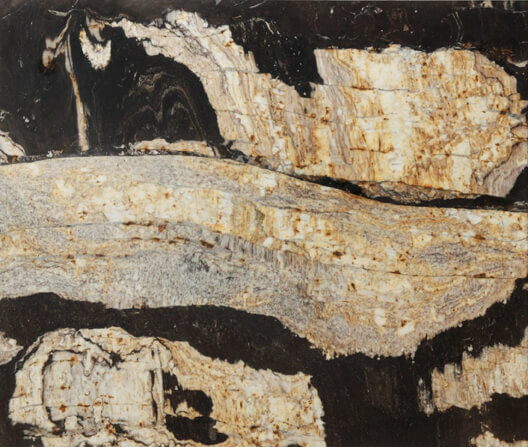 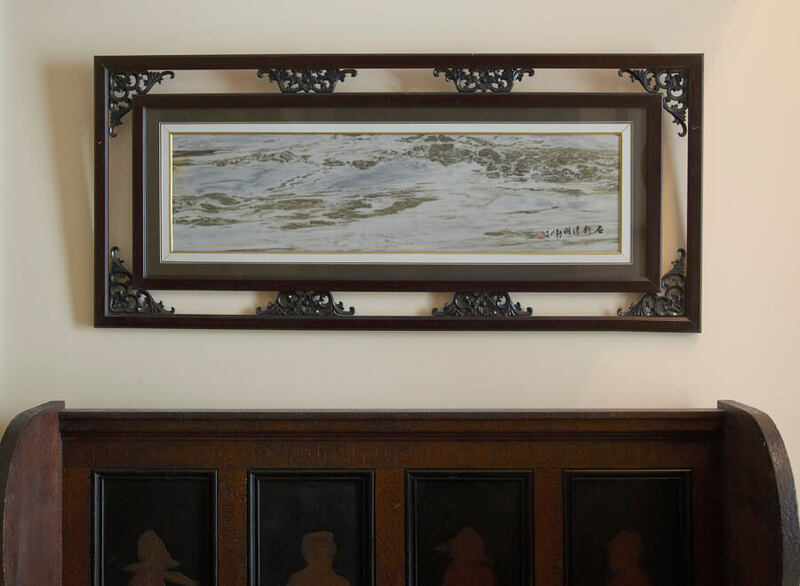 Chinese painting stone that were cut from stone found on Shuang Yang mountain in Dali mountains Captivating compositions, They might remind us of a long string of rugged mountain caps from a distance. 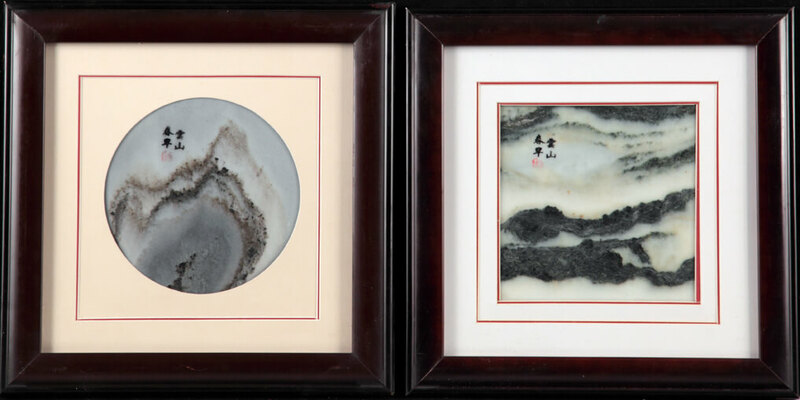 These dream stones are cut from a scarce regional stone yielding notoriously “fuzzy” detailed paintings. 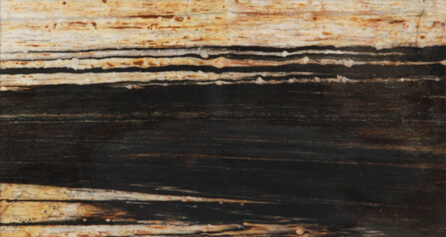 To find examples possessing clear, contrasting detail like this one is indeed a rare find. 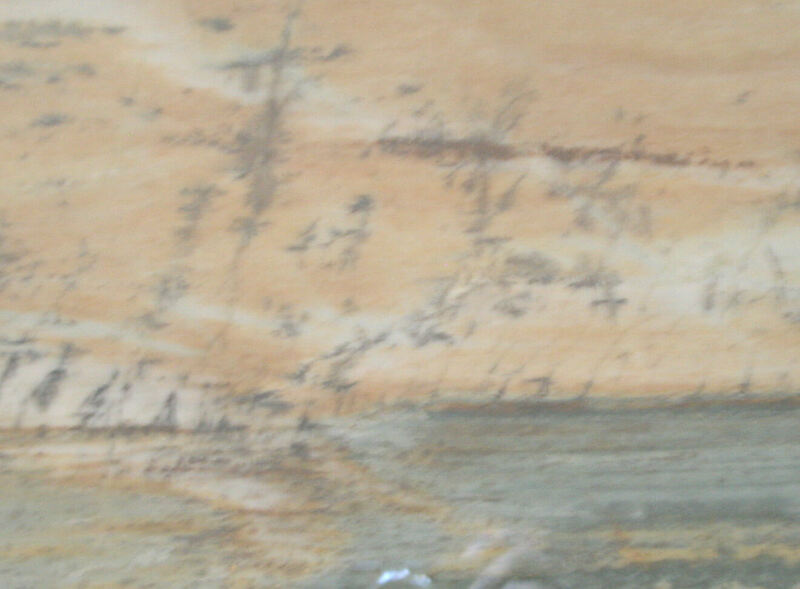 Fine stone paintings like this example are rare as access to and availability of resource material diminishes. 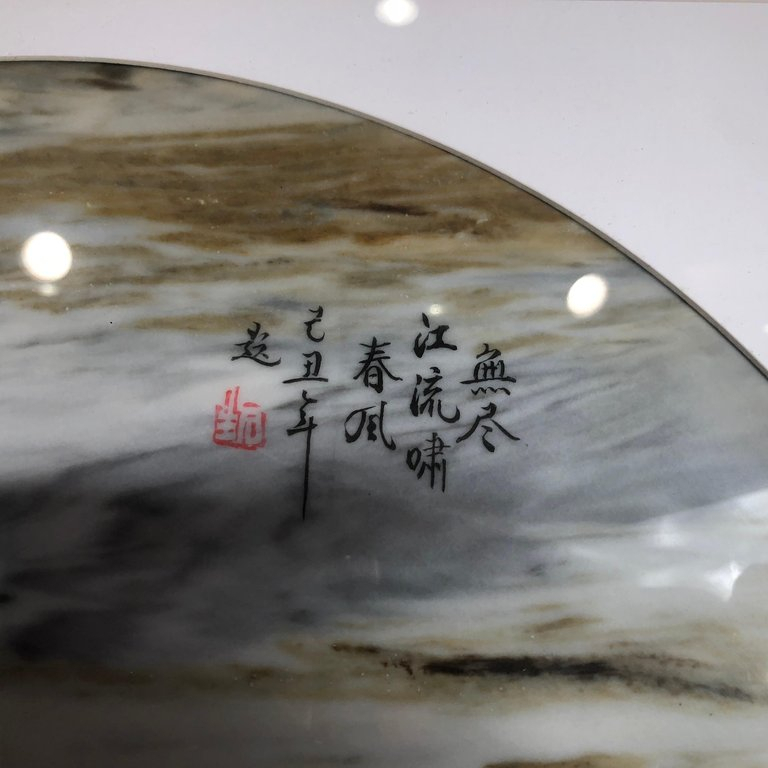 After a thin coating of wax is carefully applied to its surface to protect and reveal its beautiful subtle colors, this stone painting is signed upper right position with poetic verse and seal of an artisan who describes its majestic beauty.